Once a country reputed for its drug cartels rather than cultural and natural splendor, Colombia is a changed place. It's now well on its way to becoming the next 'it destination' in South America. While its cultural epicentres, beaches and nightlife are major attractants, Colombia would be nothing without its fantastic sights. From the romantic cobblestone streets of Bogata to ancient ruins obscured by Amazon rainforest, here are five reasons to book a one-way ticket today. The San Andres Archipelago is Colombia's very own slice of the Caribbean, and not just because these series of sandy islands enjoy warm ocean waters and ample sunshine. Many of the residents who have carved out a little slice of paradise here actually hail from the Caribbean, while the remainder are from mainland Colombia. This has created a unique blend of Caribbean and South American cultures that create a festive atmosphere on the islands, as well as some world class rum. 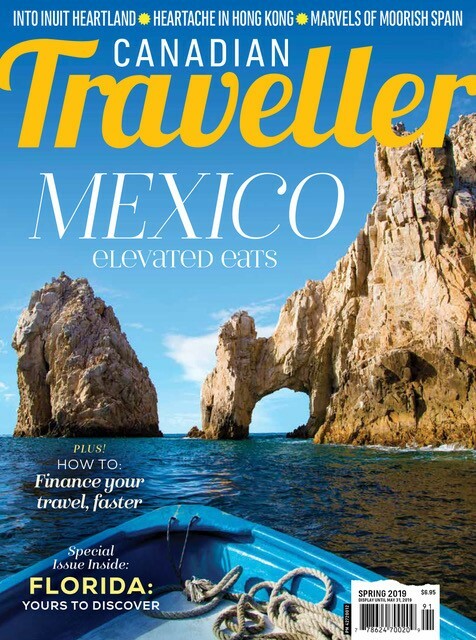 Sugar-fine white sand beaches and island ease is enough enticement travellers to go-stay-play, the true marvel of San Andres Archipelago lies beneath the water. Surrounded by coral reef, the Archipelago is commonly known in mainland Colombia as the "sea of seven colours." While there may not be seven indistinguishable colours all the time, visitors are certain to be so hypnotized that they won't notice a little fudge of the numbers. 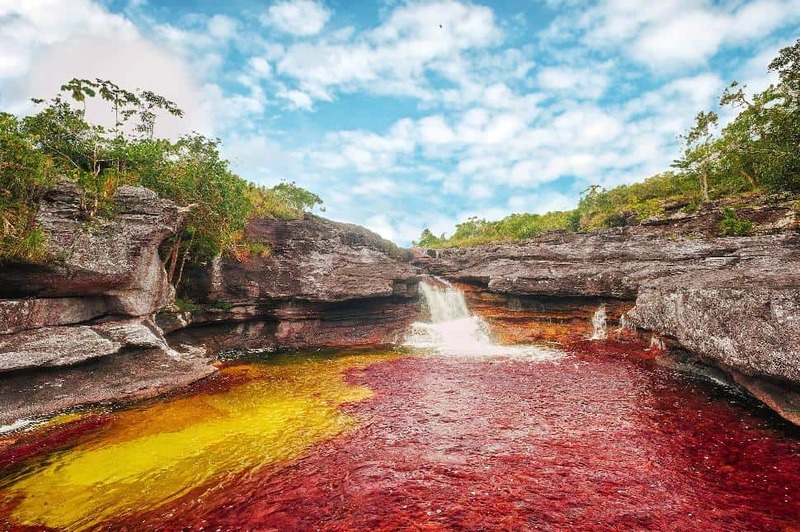 While the sea off the San Andres Archipelago may not have seven distinguishable colours to live up to its nickname, the Rio Cano Cristales, commonly called the "river of five colours," visibly lives up to its reputation. Although it is Colombia's most photogenic sight, visitors need to plan very meticulously for a visit to Cano Cristales. In this special place, there is only a brief window between the dry and the wet season (in June/July) in which the river "blooms," so to speak. During this time the plants that line the river floor, called Macarenia clavigera, turn a brilliant shade of red. This red bloom is complemented by the natural yellow of other plants, blue water and algae-infused green sand of the river bed. Visitors often choose to travel the dimpled, 12-million-year-old rocks around the Cano Cristales to view many of its natural rapids and waterfalls. All of Columbia's cities are a sight to behold in and of themselves. From the colonial forts and modern skyscrapers of Cartagena to the "City of Eternal Spring": Medellin, there is always something to gawk at. However, the most rewarding visual treasure still primarily resides in Colombia's capital, Bogata. This city is more than just the usual noisy, crowded Latin American capital; Bogata is actually as progressive as it is beautiful. Named the third most bike friendly city, Bogota closes 122 kilometers of roadway to cars every Sunday for cyclists to enjoy. Ease of environmentally sustainable travel aside, Bogata's cosmopolitan splendor is best viewed from its historic La Candelaria district. 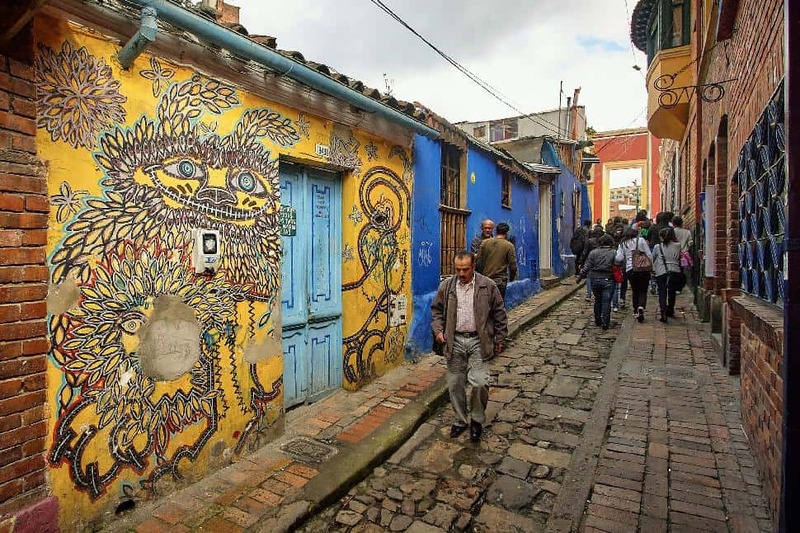 In Candelaria, visitors leave the modern flourishes of Bogata behind in lieu for quaint cobblestone and pastel spackle. While visitors may be tempted to take a trip up the Cerro Monserrate - one of the most iconic peaks in Colombia - for a cup of coffee, a trip to the Museo de Oro Gold Museum shouldn't be missed. Ciudad Perdida, or "the lost city," is no longer lost by any means, but it still finds a way to capture the experience of discovering it for each person that visits. That way just happens to come in the form of a challenging five-day trek through the jungle. 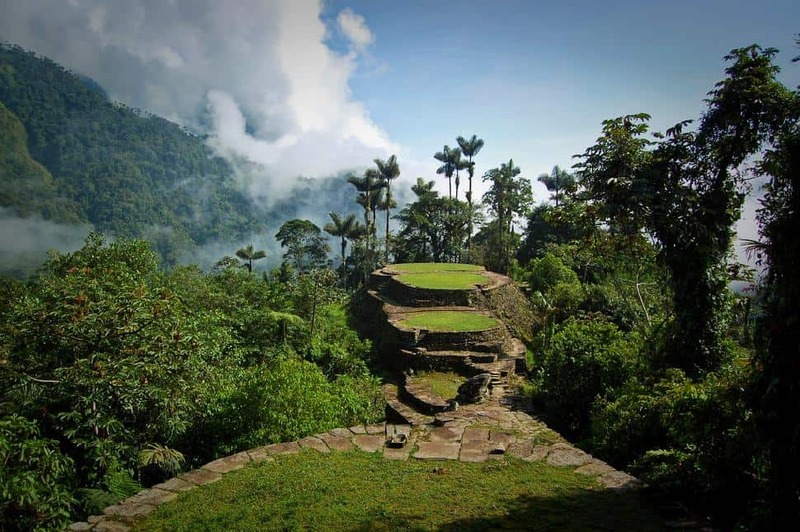 Dating back to the 9th century, the ruins of Ciudad Perdida were lost until discovered by grave robbers in 1973. However, as one of the most secluded places in Colombia, visitors can only get to see the ruins of the terraced city through a five-day hike through the jungle. It is an experience that is, for sure, not for everyone, but one that not only shows off a beautiful piece of Colombia's indigenous history, but the country's rich natural landscape as well. 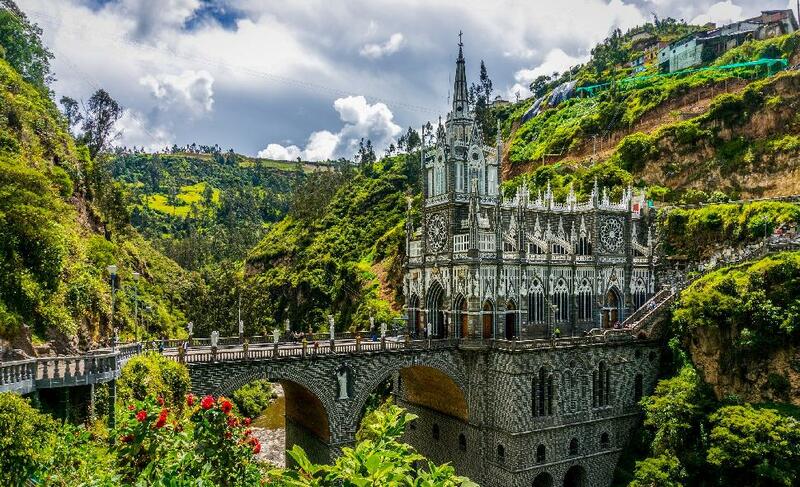 Built into the side of a ravine and only accessible through steep stairs or a medieval-style bridge, the Las Lajas Sanctuary is easily one of the most beautiful churches in the world. As one of Colombia's most impressive man-made structures, this Gothic-style church took 30 years to build amongst the secluded hills of Narino. Although it is no doubt because of the remarkable nature of the church itself, many of the local residents of Colombia that make the trek to Las Lajas claim that the church has a certain healing power about it. 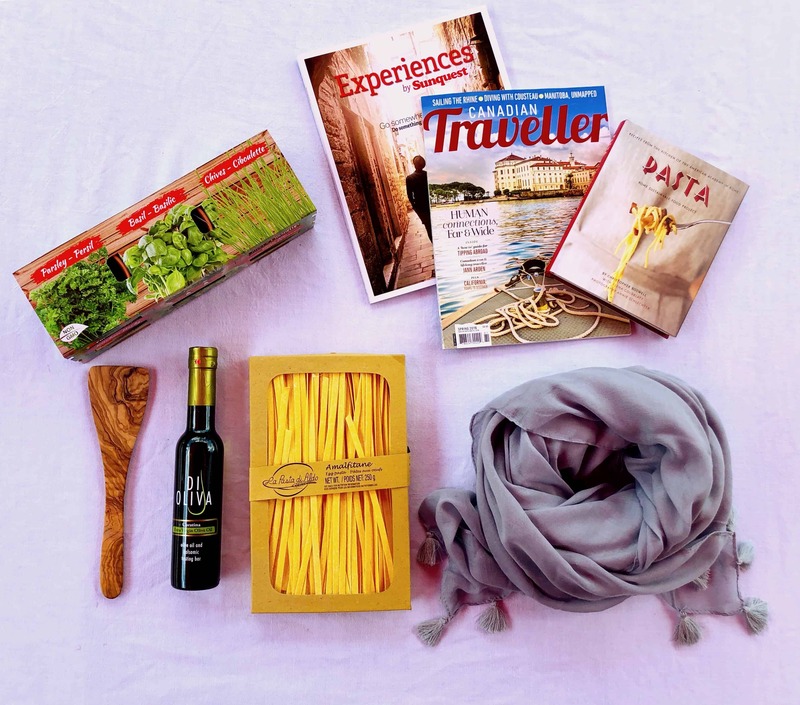 Have you travelled to Colombia? What was your favourite site? Tweet us, leave a comment below, or show us on Instagram! Archaeological parks serve as one of the most important and impressive cultural riches in Colombia.